If a parent won’t sign an IEP, does the school system have the right and ability to sue the parent on behalf of the student? 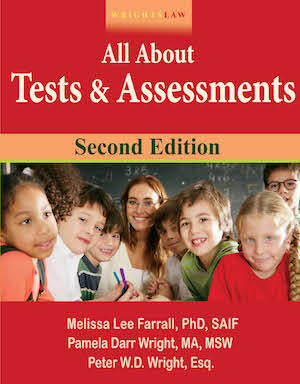 In the eyes of the system, the student would not be receiving FAPE. Does the judge ever go against the wishes of a parent? Yes, this does happen. It’s often called “reverse due process.” I don’t know how often it happens, but it is not unusual. 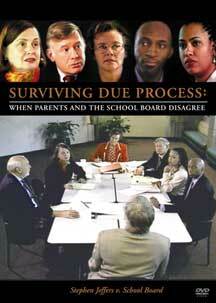 Reverse due process hearings are a defensive legal strategy used by school districts. The motivation that drives reverse due process hearings is the school’s fear that the parents will prevail on a claim that the school’s IEP did not provide FAPE. If a parent does not agree with the IEP because they believe it is not appropriate, the school may request a due process hearing against the parent. The school will ask the Hearing Officer or Administrative Law Judge to rule that the proposed IEP is appropriate. If the HO rules that the school’s IEP is appropriate, the parent is unlikely to prevail on a claim that the IEP was not appropriate. BUT, IDEA 2004 changed the rules for initial IEPs. Parents may refuse to consent to the “initial IEP” without any penalty or fear that they will be sued by the school. A few months ago, the USDOE proposed to amend a regulation so parents could withdraw/revoke consent for their child’s placement in special ed at any time. If this reg is adopted, the school district would not use due process or forced mediation in response to the parents withdrawal of the child. 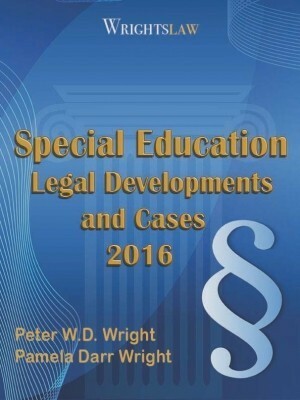 This entry was posted in Attorneys, Due Process, Eligibility, FAPE, IDEA 2004, IEPs, Legal Decisions, Legal News, Special Ed Law, Special Education Regulations, Strategies and tagged FAPE, IDEA 2004, IEPs, Reverse Due Process, Special Ed Law, Special Education Regulations by Wrightslaw. Bookmark the permalink. Would love some feedback – we are currently in this “reverse due process” scenario. Our hearing is next week. The school district sued us to vacate the decision by a State Complaint Officer in Colorado to provide our son with compensatory services for the period of time he was not serviced as a result of the district not allowing us to have meaningful participation (as parents) in back-to-back IEP meetings over a year. We do have legal representation for this hearing. Our attorneys are trying to argue that the district doesn’t have the right to bring a due process complaint against us, because the district does not allege that our actions have caused a denial of FAPE. They simply argue that he is not entitled to compensatory services. Can a district sue to vacate an order by the state? No one seems to have any answers here. What happened in regards to your case? We are being threatened by our district right now. They are threatening reverse due process because we have filed complaints. ALL private testing finds him eligible under multiple categories. I am a single mom of three kids I don’t work because of my 12 year old son issues at school. The district made his placement without my consent. I found an attorney to help me, but unfortunately the district payed my attorney to withdraw from my son’s case. My attorney took me all the way to due process and withdrew from the case. The district removed my son from school in December of 2016 and the due process hearing was held in March of 2017. I had to go to due process hearing without an attorney. I lost the case for his placement. What do I do when I am afraid to send him to the school that they recommend which is in hour away and he has never been on a bus for safety reasons and it’s in a bad area. What should I do if I highly disagree of his placement. Please help me!!! I have the same scenario but I have legal counsel. Do I have a better chance of keeping my daughter in school and not transferring to least restrictive school? 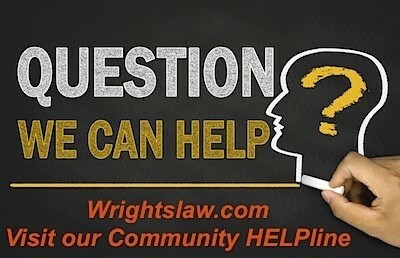 how do you know the district payed your attorney? I have data to showing proof for IEP FRAUD; shown in email discussions during TEA Mediation discussions for ALL representing legal parties actions to be unethical, in contradiction to State & Federal laws; objective data substantiating IDEA FRAUD with behaviors similar to EDUCATION RACKETEERING. I have filed 2 Pro Se due process claims (denied “assess rights”) & numerous SEA complaints. 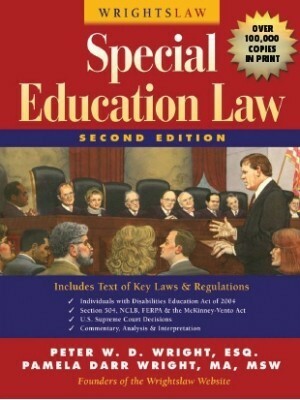 I have LEA lawyer’s written statement, “School REFUSES to consider [my child] student’s eligibility for special education.” FACT: CHARTER SCHOOL dismissed my child from SE without 1st conducting OBJECTIVE testing & NOTWITHSTANDING my child having a CURRENT ELIGIBILITY CODE for DISABILITY of autism; and FIE effective for another (6) months, or his parent at ARDM. Please help, I don’t know what else to do. I just had an IEP and everytime is the same thing. My son is hard of hearing. His is now in 10th grade but reading and writing every single year as a first grader. I have tried to get additional help from the district, by asking for intensive tutoring after school. I have written various letters asking for better reading programs. I have paid and continue paying for private tutoring with little success. My sons academic grades are 3.0 (B), very responsible, but than why is it that every year is the same thing. I do not want him graduating with a certificate. He wants to attend college. He wants to be able to get elective classes in photography, but they just say they will tried to get him in those classes, with no luck. Please guide me. I am a little confused by your post. You said that your son is “reading and writing every single year as a first grader” but you also say that his academic grades are a 3.0? A student was on homebound instruction for an inappropriately long period of time. If the district claims it was offering FAPE during that time period, can a parent argue that the district should have filed for either truancy or due process to compel parent to agree with what was offered? Anyone who would be willing to discuss or help me as my son’s school (who was found non compliant by the state for my complaint) has filed a reverse due process in retaliation. I am new to this. Any help would be great. Thanks. This sounds very similar to the situation that we are currently in. What was the outcome? Did you ever file this retaliation with the OCR? I have a first grade daughter diagnosed with autism. She had been receiving special ed services per an IEP. At her first ever triennial IEP/psyco ed assessment, the district recommends complete removal from spec ed. they assessed in all areas of suspected disability, but their findings were wildly inconsistent with what I see as a parent. IE she was in mainstream class receiving pull out services for speech and language. Her triennial assessment now finds she is in the “very superior” range, at the 99th percentile, even when compared to “neuro-typical” peers nationally. To me this is preposterous. I requested an IEE at the IEP (Oct 9) and was immediately told “no.” The district has now filed reverse due process. (Dec 10) to show they assessed all areas of disability. I suspect their “findings” are only a “set up” for dismissal. I was sued by the district and now the district doesn’t want to give my son, who is going to be 18 in July, the Speech and Language Therapy he needs. My son was transfer to a APS and the APS left my son behind and did not write any goals for him in Speech and Language. He has a Speech and Language Impairment Disability and was denied a FAPE. He also has an Intellectual Disability and he did not have any age appropriate Literature. The school denied him of any Assistive Technology. His home school who is paying for the services do not want to pay for his Speech and Language and any other services. Because they know that I cannot afford a lawyer, they are taking advantage of the situation. I have called all over the place this includes the Senator around my area, the Governor’s office and many other places and the law is a joke. Can an IEP “team” recommend a self-contained discipline based middle school because they “feel” it’s the most appropriate placement for the student for middle school (transitioning from 5th-6th) & tell parent she has to file due process if she disagrees? I thought she could reject placement and the district would have to sue if they insist on that placement? This was not an alternative placement decision. Amanda, you have choices. The issue of your son being hit is also a child abuse complaint through your local child welfare agency. There are many unknowns here and you don’t have to share any more information. What does your child want to do? Have you visited the school they are suggesting? Have your son visit both schools and work the school attorney so your son’s needs can get met. This is an unfortunate situation. I seems that the teacher is being protected and the school district is being proactive in a case you file a child abuse complaint and a state complaint. They are strategically getting a step ahead of you. This is an unfortunate situation but you do have choices. I would use the school’s lawyer to my advantage. Know your son’s procedural rights. Amanda: Post your question on avvo.com ( a v v o .com). There are many attorneys that provide legal advice and you may find someone in your area that would be willing to give a free consultation. There is recourse but you will need someone to walk you through the process. Start tracking down the incident report. AManda, If a teacher hit your child and you have evidence I don’t understand why they are backing you into a corner.. THey already have themselves backed into the corner. You can hire and attorney right away and sue them for asault. This is more than an IEP issue. A child of a friend of mine was hit in anger. The parent immediately got an attorney and met with the school. The school immediately settled to get it taken care of. Hitting is not allowed whether student to teacher or teacher to student. sueschool Remember you do not have to sign anything you do not agree with no matter how they make things sound & anytime you are told “no” by the school they must put it in writing in a prior written notice. If you can go to the meetings with an advocate, friend or relative that helps as well. I used to feel intimidated in the meetings because it was me & my husband & 10 other school personnel. Sometimes we would bring in a professional (we paid them for their time) to help explain our issues, etc. Sometimes we brought in an attorney as a last resort. If you have in fact lost all you can start all over with a new request for an evaluation. Again put that in writing & be sure to sign the consent form. It may take time but better than doing nothing. Our district filed for due process, claiming revocation of consent. Our child is homebound. When they sent a 6th aide in 3 mos to leave as a sub to work for 2 days (unsupervised because they don’t believe in NCLB), we asked for no more new aides for a while just as new subs. That day all aide services were stopped by email. My son liked his main aide & cried. The hearing officer allowed it to go forward so they can “clarify” consent, & denied a motion to dismiss. They have already withdrawn partial services, with no PWN. (we requested PWN when services stopped). They wrote in opposition to dismiss that they didn’t withdraw services, just stopped having providers fill the services. It is clear that school districts have the upper hand, as tax dollars are given them to help fight any claim of lack of FAPE. There is clearly and inequity here set up by both State and Federal Agencies giving money to school districts to help them pay for attorneys and highly paid education specialists. The whole situation is ridiculous. My son is is third grade and is having a really hard time. He was botn with a bilateral cleft lip and palate. He has serious anger management issues and becomes easily frustrated. He has had speech therapy and his speech is pretty clear. Currently, he is refusing to write in his journal. He gets very angry and throws his book and pencil and is the sent to the principal’s office. When meeeting with the principal and his teacher I was told that their social worker and psychologist did not have time to help him and that I should take him to outside therapy. I did do this last year and he was diagnosed with a social anxiety disorder. At the end of last year I requested that the principal put a plan in place so that when he wasn’t there somebody would be able to help my son with his outbursts. What responsibility does the school have to my child? What can I say to the principal so that he puts a plan in writing for my son. 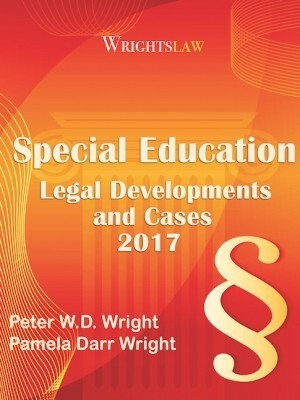 Both of my twin sons have learning disabilities. One twin has severe dyslexia, the first to be dealt with at the school for dyslexia. School would not test him. We had him tested and presented the school with the news so that before his 4th grade year started the school would have a program in place for him. He is now a 6 grader. He and his brother held back in kindergarten. He is still struggling and when we try to explain, show dvds of our sons neurological brain problem they say he is progressing. We went to mediation in 4th grade and are still struggling to pay our advocate every year. Right now our issue is that we are asking the school to provide us with assignments. When a school files dp against the parent, may the parent place the district’s attorney on their witness list? This attorney was present at many IEP meetings, even though the parent was not represented and discussed educational issues in addition to prohibiting teacher responses to certain questions. What can a school seek to recover when filing a due process claim against a parent? Can the school file due process against us if we withdraw our son to homeschool. We know that our child has not been provided FAPE, but, knowing that the due process system is not accommodating to the parents and student, we just want to get out from under it all. But we don’t want to later find that we can be sued. If I withdraw my student to homeschool, and proceed with a claim with the Office of Civil Rights, can they file due process then? My district has filed due process against me. They conducted the 3 year re-eval and said my dd didn’t have a disability and no longer qualified. Their eval was not appropriate so I requested an IEE. They refused and filed for due process against me. Their eval is clearly inappropriate, my dd has several medical issues, including a feeding tube, this isn’t even mentioned in their eval. She is failing math right now and has had math difficulties for 2 years, they have refused to ever put this in her IEP. The required “45 day timeline” is a joke! I wasn’t even contacted by the hearing officer until around day 30. The findings were to be in by Sept 10, it has been delayed until at least mid-November. The district is trying to delay to collect additional data on my child. I don’t understand why the state doesn’t hold them accountable. Our school if filing due process against us, only after we have filed against them. The reason they are giving is based on our refusal to consent to a re-evaluation. The funny thing is we requested a re-eval as part of our due process resolution. However, we wanted to use an independent agency to evaluate. We don’t want to consent to their evaluators because clearly in a dispute, they would only serve as experts for the district. If they are using this as a legal strategy against us- what should we do? Go ahead and consent? We will have our own experts as well, since we decided to pay on our own since the district refused. The problem is the timeline for their complaint will make their due process hearing come before ours, so if a judge rules in their favor at the hearing against us, then does that mean our complaint will close? thank you I got all the info. When I asked the resource teacher to please respond to my written request to supply all the test results before our meeting on the 2nd she said she could not. I told her if I have to take the time to review the results during the meeting it would last longer than normal. She responded with NO IT WON”T because I won’t stay longer than an hour. Then she told me that they were not satisfied with one of the reading tests so they re-tested and my son scored much better. She said he must have been tired or hungry the day of the original test. Can they do this? If we have to re-schedule so I can make an informed decision is there a timeline they must follow? Again we live in California in a District that is known for not following the rules. Should I look for an attorney now? If an IEP Team agrees to give a child speech therapy for the coming year should an IEP for speech also be written even for consult with no direct therapy to the child? 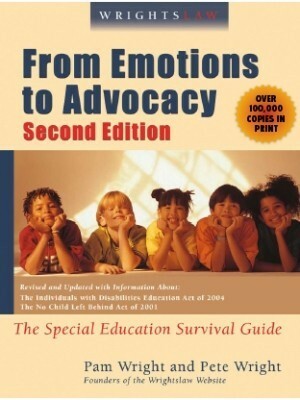 The IEP would have goals and areas the child will need this service. If a parent requests a copy of the evaluation report before the IEP Meeting, there is a legal mandate to provide a copy. IDEA says you have an equal and active and meaningful part in developing your child’s IEP – his present levels, his goals, the services he needs . . . How can you do this if you have not reviewed his test results before the meeting? 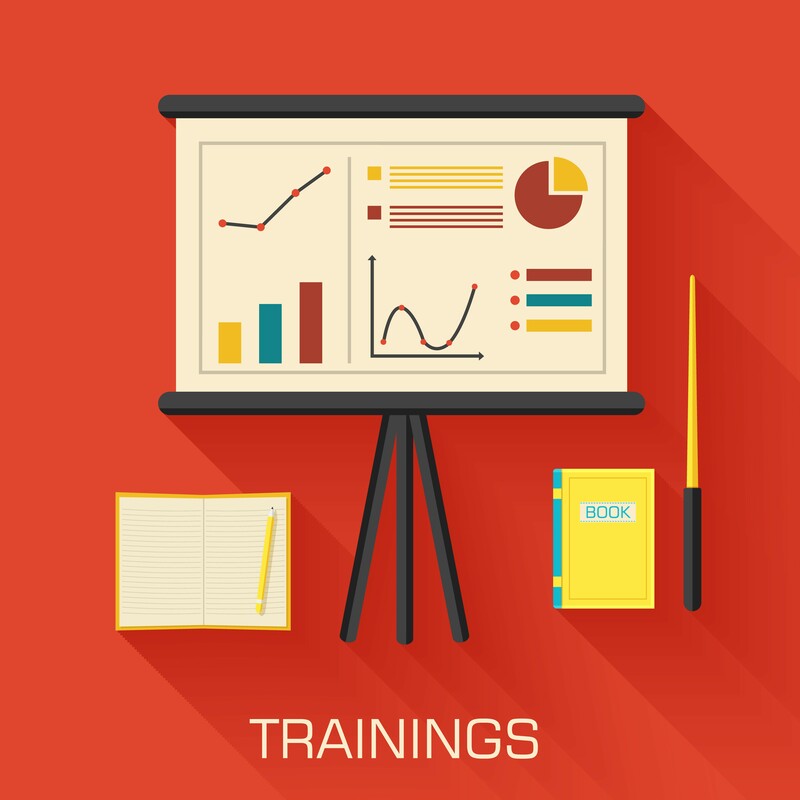 You need to know where he is functioning before you and the team can decide what he needs. Read the information in these two posts – and the comments. 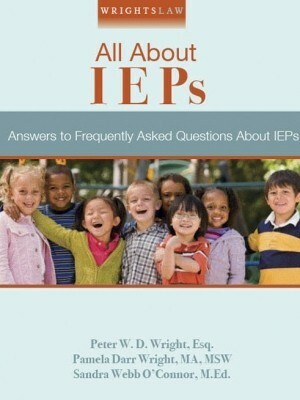 School Evaluations; Should the School Provide a Copy to the Parents Before the IEP Meeting? Put all of your concerns, requests, etc. in writing. A notebook dedicated to this purpose is helpful. Document everything. Always. My son is in 2nd grade and reading at best end of Kindergarten. I asked for an IEP last year and got an SST. His Teacher last year was horrible and criticized his work in front of him. We had hoped that the problem was her. Now in 2nd grade and many hours of research I believe he is dyslexic. The School is giving us the IEP on Dec. 2nd but still has not given us the test results. I have asked for it and they said it would be available at the meeting. Is this legal? Do they have to give me time to review it? I have hired and advocate to go with me but after speaking to many parents who have pulled their child from school for private school do I need an attorney? We live in California. Sheri – When parents and schools do not see eye to eye, it’s a mistake for the school to ask “what can we do legally” to force the parents to do what they don’t want to do. You want parents who are equal partners, not frightened adversaries. People make decisions for reasons. Why do the parents not want the school to evaluate their little boy? What are their concerns and fears? What is the child’s behavior like at home? In the neighborhood? What are the parents’ personal experiences with schools? I’d have an empathetic person who has good judgment and common sense meet with the parents, get to know them as people, and discuss their concerns and desires for their child. Threatening legal action should be the last resort, and in most cases, shouldn’t be done at all – this will poison the well of cooperation and good will forever. Other strategies are more productive. According to the law, what can a school district do when parents of a first grader refuse to consent to an evaluation for their child who is exhibiting frequent & severe behavioral/aggressive incidents in the classroom? Just to chime in to verify that those schools using non-categorical models (of which RTI is an example), students are often pulled for research-based intervention. I can think of other scenarios as well that offer individualized intervention. Many Title schools also pull the lowest quartile (or sometimes 10% for intervention as part of a school-wide plan to raise individual and school-level achievement. With RTI (response to intervention) schools do pull students to give them a little extra help or try “interventions” when a student is behind or struggling academically. This is done for students who are not in special ed. and to see if the student can make progress with a little extra help – after a period of time, if the student is having difficutly the school may indeed suggest an evaluation. Could what you describe be a part of the RTI process? I do think the school should have told you about it. I would ask them if this is the case. It sounds like they have broken the law of procrastination. What you are describing is a teacher who is proactive in assisting your daughter in an area of temporary weakness. If the teacher continues to do this, I would consider baking her cookies for doing something that can have a positive impact on your daughter’s education. Schools that knowingly falsify documentation that can be used to mislead a Hearing Officer in a due process hearing should have to pay the parent’s attorney fees as well as pay the parents the same amount of money that they pay the schools attorney to assist in this form of retaliation. Our child’s school brought in an “expert” to the IEP table and they put on quite a puppet show. His opinions seemed to be the exact same as theirs. The confusing part is they had already documented something entirely different about the same child. After being assaulted by staff. child runs from staff to avoid doing school work. Did not avoid school work for six year prior? My daughter just came home from school and stated that she is pulled from her class with another student each day to work on vocabulary and spelling. My daughter is NOT on an i.e.p. nor 504 and i had NO prior knowledge of this…I know its against the law, but which law is the school system breaking when they do this? 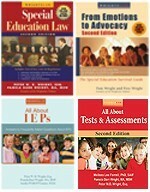 I would like to help parents of children with special needs through the IEP/ARD process. I am starting a program in the San Antonio, Texas area. I am a certified special educator, certified advocate through Brighton Beginnings, and a parent of a child with a disability. Please visit my website and share with anyone who might be in need of some advocacy in the public schools. We had the school file due process against us, but not because we didn’t agree with the IEP. We had signed the IEP in the fall, but in the spring, the district changed the program our son was in significantly causing a regression in behavior. We countered that the district failed to provide FAPE in the LRE. If we did not have the funds we were saving in a home improvement account, we would have been between a rock and a hard place defending ourselves by performing evals, hiring experts and a lawyer. 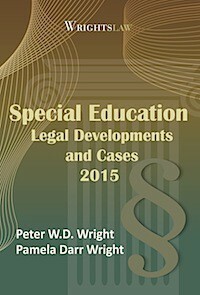 School districts have attorneys on retainer and experts on their staff. Clearly there is inequity in this scenerio.